Blog > News > Enter our newest contest: “Festive Projects” for a chance to win big! Enter our newest contest: “Festive Projects” for a chance to win big! 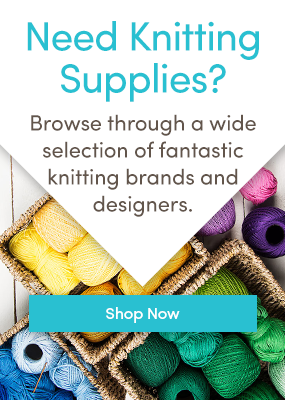 Can you imagine a better gift than £200/$250 to spend at LoveKnitting.com? Just in time for the holiday season, this new festive contest offers some great prizes to four lucky knitters. As the holiday season grows nearer it’s time to share your festive projects with your fellow knitters, and hopefully win a prize in doing so. All you need to do is upload a project that fits the HotTag theme of “Festive Projects.” This can be anything from decorations, Christmas tree skirts, jumpers or sweaters, gifts, dog jackets, or anything else you can think of. They don’t have to be current projects, we’d love to see something you completed from previous holiday seasons. One lucky winner will get £200/$250 to spend on LoveKnitting.com, and three runners-up will receive a 25% discount off their next order! Projects will be judged based on skill, originality, photography, and their story. Upload a project a project with a title, description, and at least one image. Use the HotTag “FestiveProjects” so we can find your entries. Make sure you upload your project by 21st December! Not sure how to upload a project? Click here to learn how! 7 Responses to Enter our newest contest: “Festive Projects” for a chance to win big! Looking for the wool keepsake sayelle, azure blue 105, article no 610, lot no i think is 5899 805. I am looking for five more, 4 ply. So disappointed that residents of New South Wales are not allowed to enter why pick out this one state to discriminate against? Hi Elizabeth, unfortunately there are some laws that are out of our hands and currently prevent us from running competitions in New South Wales. We are looking into ways to open up future competitions to NSW, and we hope you accept our sincere apologies. Thank you! I could upload a pic of my latest jumper, a lovely bright intarsia-knit inspired by a Kaffe Fasset design of different sized interlocking squares. However, as I didn’t follow his original pattern but made up the design myself, and knitted it from well over 50 different yarns, many of them little bits from my stash collected over the years, I can’t fulfil the rules of the competition as regards submitting the pattern or sample of yarn used. I seldom use a pattern as such, I just knit a basic jersey with my own design superimposed. I might get full marks for the originality, maybe, though! Hi Virginia! That jumper sounds really nice, and we would love to see it. Why don’t you upload it and write about the backstory and tell us any yarns you might remember using. You never know, there might be some sort of bonus prize for creativity! I was finally impelled to sit down and enter my latest projects for three of my wonderful granddaughters–and realized they are all in beautiful shades of blue. They were all fun to do and I am amazed that I got them all done in such a short time–I am a writer and spend a lot of time in classes and at meetings. But the young women inspired me! Thank you for the opportunity to show off my handy work. It was so nice to see my Afghan displayed for all to see.